SITE CEM 2.0 incorporates specific functionalities geared towards various design applications. It is easy to use and integrates simple workflows to complete design related tasks and was developed with the needs of engineers and designers in mind. The software uses the latest 3D technology and supports multiple platforms. Take a look at how SITE CEM can be implemented for different needs. 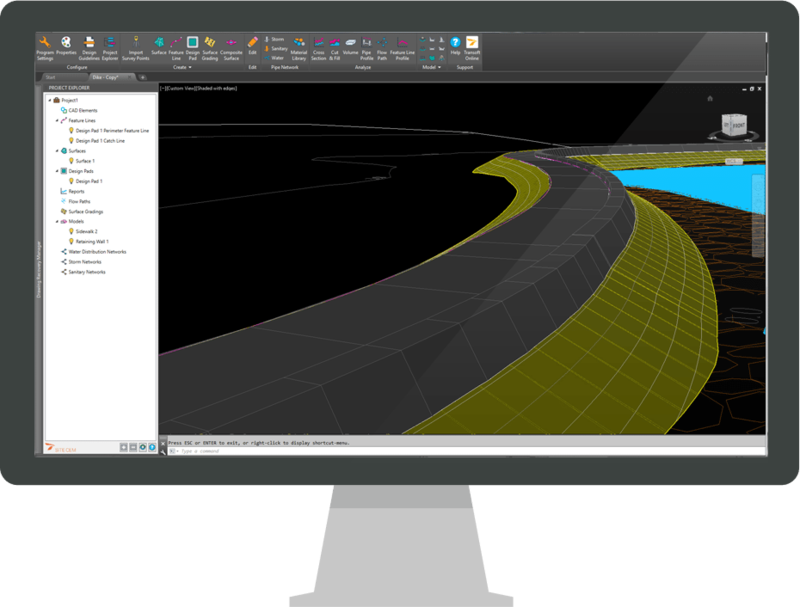 SITE CEM is a flexible tool that can be used for many different types of site projects, from the extraction of material volumes for optimal earthworks to the planning of storm water networks for sustainable site designs.